Southern Phone are a regional NSW telecommunications company, committed to providing affordable services to regional communities throughout Australia. Each year Southern Phones deliver 25 million catalogues, designed to address the attention, desire, and action phases of a customer’s buying journey and ultimately drive sales. 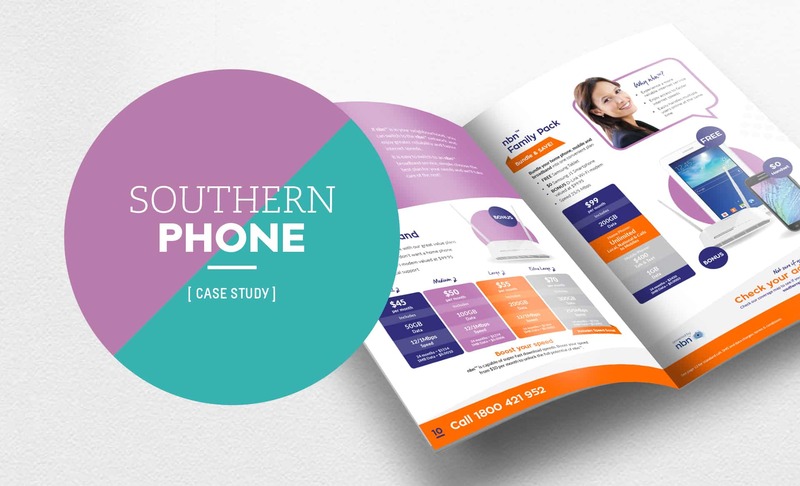 Emedia Creative were invited to review and revolutionise Southern Phone’s monthly catalogue. Distributed across regional Australia, one of the initial hurdles was to dispel the common stereotype for telecommunications customer service centres and highlight the localised, Australian-based customer service support that Southern Phone is proud to offer. Through an intensive consultation process with Southern Phone, we gained a detailed understanding of the over 55s demographic and their pain points. This collaborative process became invaluable in providing the framework for our thinking and internal collaboration of ideas. An extensive review of previous catalogues showed many opportunities to revolutionise the design experience. 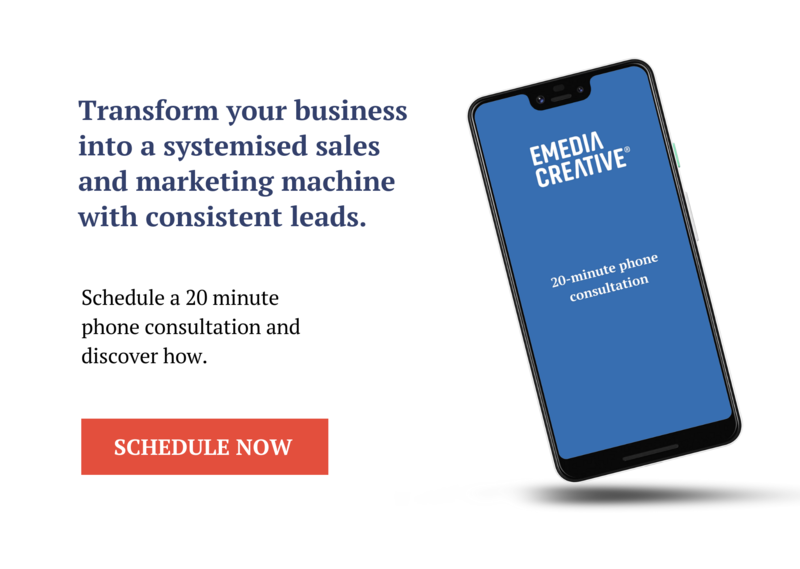 We instantly recognised the need to personalise the Southern Phone brand to enhance engagement, demystify the telecommunications space for the target audience, and create a clear, consistent and compelling layout that would instantly demonstrate the value of products and localised services. Demystifying the technical jargon was essential to educate and engage an over 55s demographic. By putting a face to the name of each team member, we devised a strategy to educate and explain technical terms in a down-to earth, non-threatening manner. This helped educate, inform and empower the end user to become more knowledgeable and confident in using Southern Phone. This was crucial in building a sense of community and trust.Oversized, bold typography was used to ease legibility for the customer whilst maximising the impact of key messaging. The bright and inviting colour palette helped to identify core product categories and communicate a true sense of personal service.Development of user-friendly icons, simple restructured table formats and use of whitespace throughout the catalogue, helped create a visually engaging and logical information sequence that clearly set it apart from the traditional catalogue format. Through intelligence and creativity, we were able to bring insight to the project and deliver a personalised, educational and empowering catalogue that was truly revolutionary.